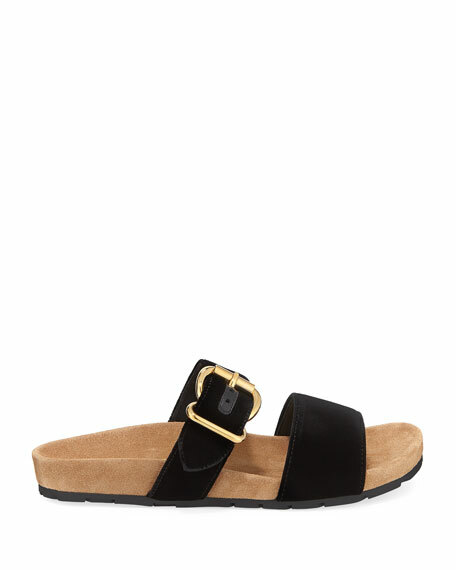 Prada velvet sandal with leather trim. 1.5" flat heel with platform. 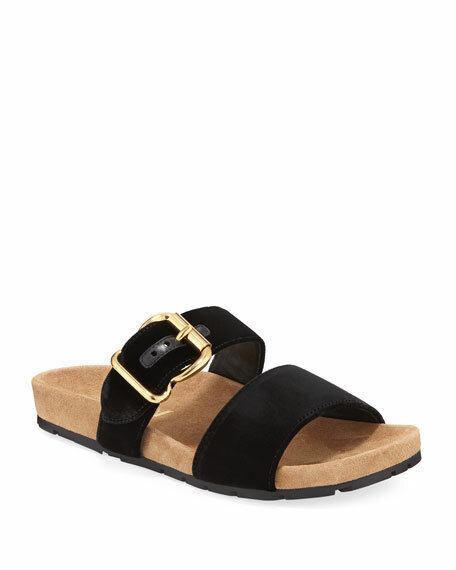 Prada leather sandals. 1" flat heel. Open toe. Buckle strap at upper. Slingback strap. Leather lining and sole. Made in Italy. Fit: Runs true to size. Prada rubber sandal with logo at top. 0.5" platform. Open toe. Slide style. Leather lining. Rubber outsole. Made in Italy. Prada rubber sandal with logo at top. 0.5" platform. Open toe. Slide style. Leather lining. Rubber outsole. Made in Italy. Fit: Runs true to size.